You may want to lock all cells or certain specific cells in an Excel worksheet, in order to protect the content in those cells from being modified or erased. You will find below the steps to Lock Cells in Excel. The simplest way to lock cells in Excel is to protect the Worksheet and this will prevent anyone from deleting or editing the content in any of its cells. However, locking all the Cells in Excel prevents others from working on it and this option is not suitable if you are sharing the worksheet with others. Luckily, it is possible to lock specific Cells in Excel and prevent only those selected cells from being modified. As mentioned above, you can lock all cells in an Excel Worksheet by protecting the Worksheet. 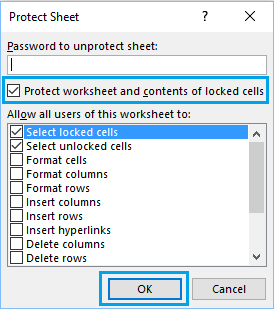 By default, all the cells in a protected worksheet are locked. 1. Click on the Review tab and then click on Protect Sheet option. 2. In the Protect Sheet window, you can enter a Password (optional) to unprotect the worksheet and select the Actions that you want to allow other users to perform in the protected worksheet. Once the worksheet is protected, all the Cells in it will be locked and Excel will display “The Cell or Chart you’re trying to open is on a protected sheet” message, whenever anyone tries to modify any of the cells in the worksheet. In case you want to edit cells, you will have to Unprotect the worksheet by clicking on Review tab > Unprotect Sheet. Note: You will be required to enter a Password, in case the worksheet that you are trying to unlock was protected using a Password. In certain cases, you may come across the need to lock only certain cells in the worksheet, while allowing users to modify and adjust all the remaining cells. 2. Right-click on the selected cells and click on Format Cells… option in the drop-down menu. 3. On the Format Cells screen, click on the Protection tab, uncheck the Locked option and click on OK.
4. Now, click on the Review Tab in the top-menu bar and click on Protect Sheet. 5. On the Protect Sheet screen, click on OK to save this setting. Now only the Cells that you did not unlock in step#3 above will become locked and all the remaining cells in the worksheet will remain unlocked. If you find that the Protect Sheet option is grayed out, it likely that you are dealing with a shared worksheet. In order to fix this issue, you will have to Unshare the workbook. Click on the Review tab and then click on Share Workbook. 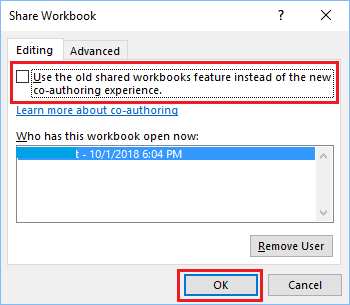 On the Share Workbook window, uncheck Use the old Shared workbooks feature… or Allow changes by more than one user… option and click on OK. The Protect Sheet option in Excel can also be grayed due to multiple worksheets being selected. Right-click on any worksheet tab and click on Ungroup Sheets option in the contextual menu. 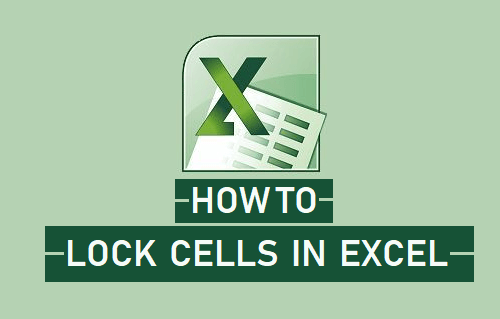 Hope this has provided you with a good understanding of how to Lock Cells in an Excel Worksheet and protect your work.